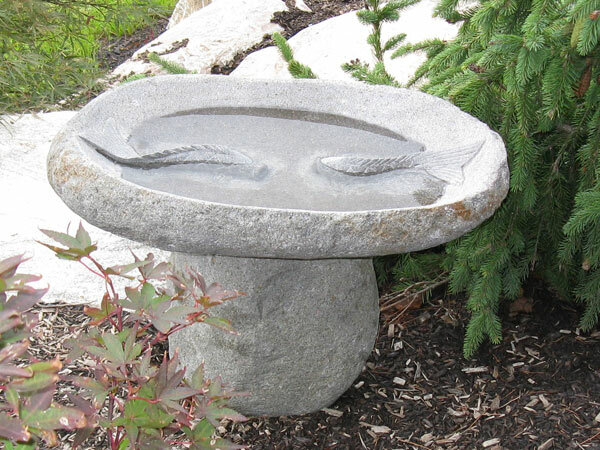 The Two Fish Birdbath is one of our most artistic natural stone products. We've chosen thousand-year-old granite boulders for these pieces to highlight the stone's rich color and texture. No two of these birdbaths will have the same shape or stone color. Each is truly a work of art.